The 3580A is 5 Hz to 50kHz low frequency, high performance spectrum analyzer. 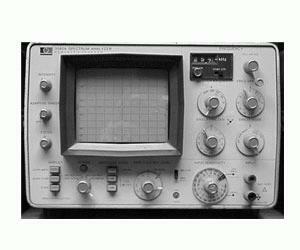 The 3580A 1Hz bandwidth allows the user to examine noise and extraneous signal content close in to a signal of interest. The 3580A features an adaptive sweep which allows the user to set a threshold above which only the spectra of interest are observed. Digital storage is another important feature of the 3580A which enhances the display for slowly swept low frequency signals.